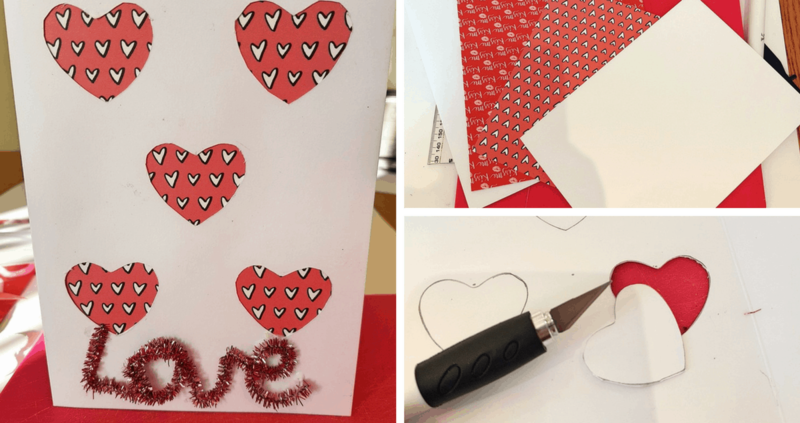 If you are looking to add a personal touch to a card this Valentine’s season, you could try making this really simple homemade card. This is a card craft that can work for any season. All you need is white card, glue, some leftover wrapping paper and a pipe-cleaner – and even the pipe-cleaner is optional. 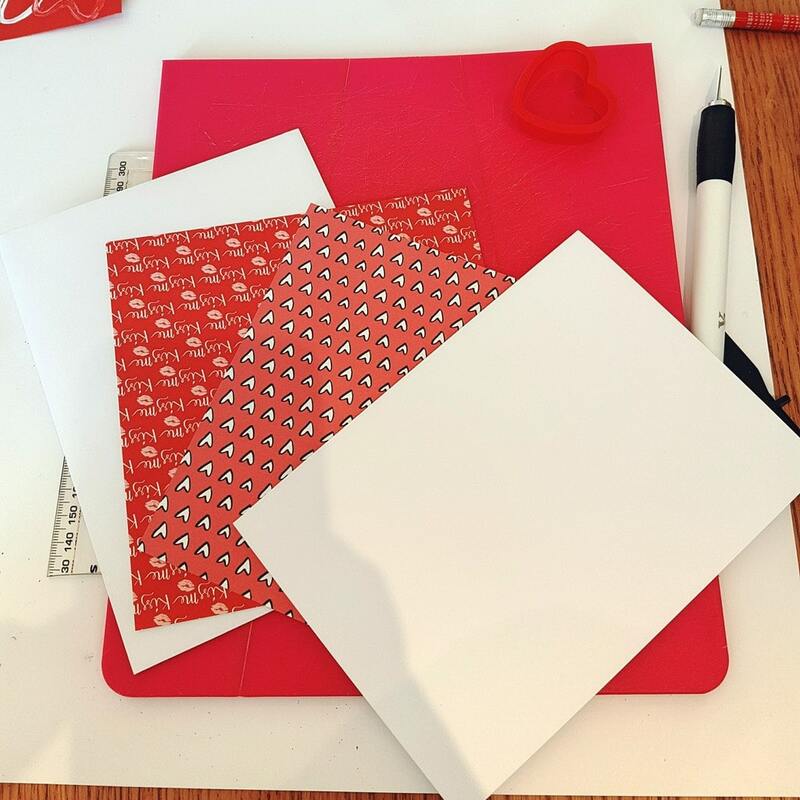 You can modify the shapes used and the type of wrapping in order to make a card to fit any holiday. Here’s what you need to know. 1. Fold the A4 card in half, to create your card shape. 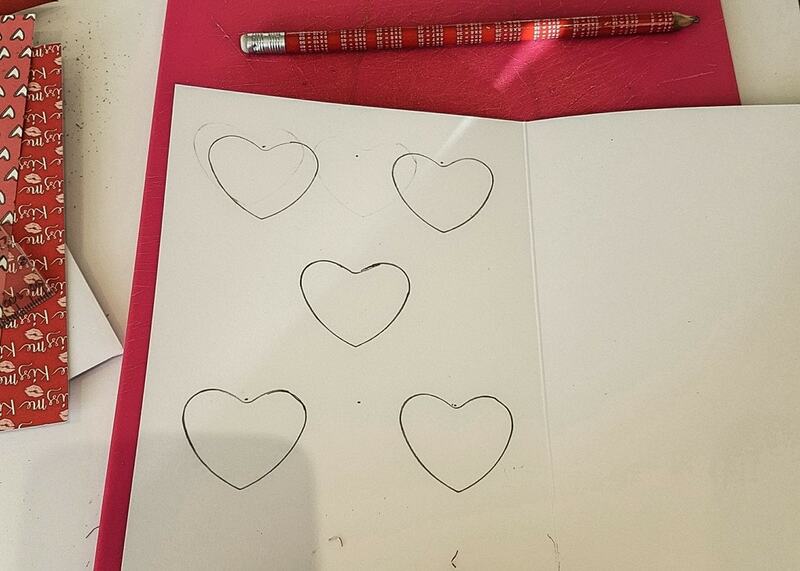 On what will be the inside of the card, draw out your cut-out design. 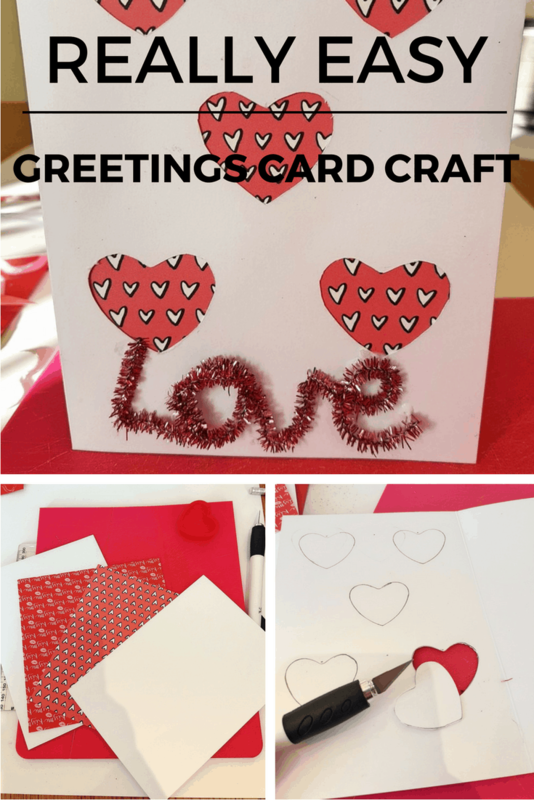 You may choose shapes – I chose hearts for Valentine’s Day – or you could use other shapes, letters or numbers. 2. Cut out the shapes so that the sections that you would like to be filled with wrapping paper are clear. 3. Continue to cut out your shapes, making sure the edges are clean and even, until you are happy with your design. 4. Next, arrange the wrapping paper on the inside of the card where you would like it to show through. You could use a combination of different papers to create a pattern or simply stick to one piece, as shown here. 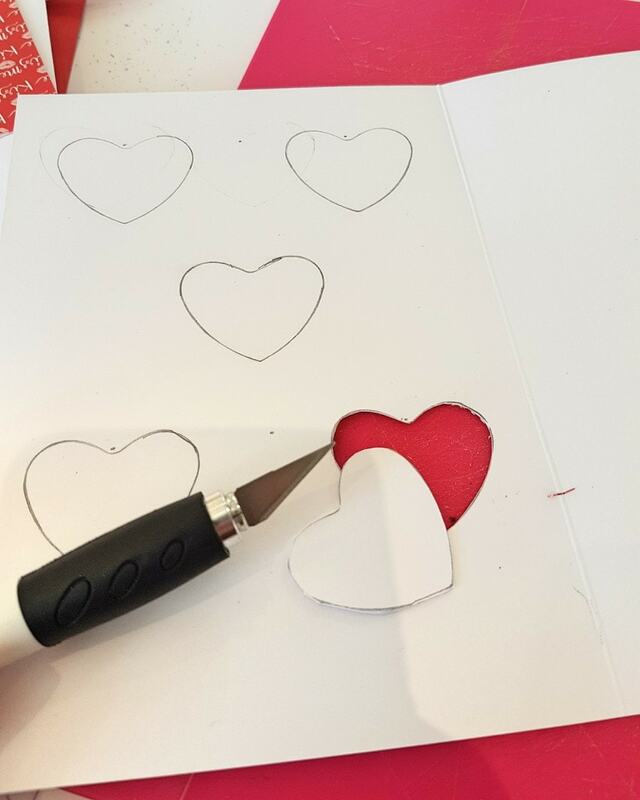 Place glue all over the inside of the card where the cut-out shapes appear. Stick down your wrapping paper and wait to dry. You may then wish to stick an extra piece of card over the top to hide the wrapping paper or any untidy bits. 5. The design of your card should now be clear. As a final touch, you could shape a coloured pipe-cleaner into the shape of a four-letter-word of your choice. As Valentine’s is approaching, I chose ‘Love’. However, you could use a short name or other short words for other holidays. 6. 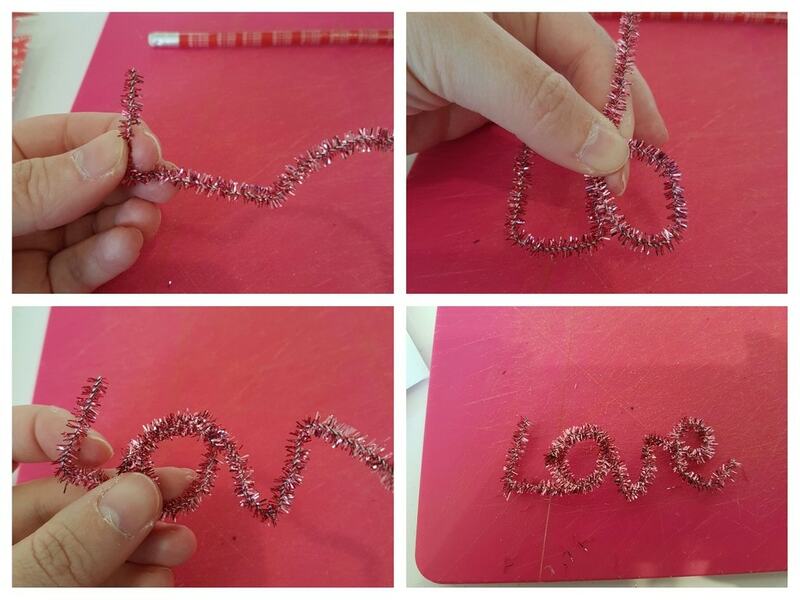 Apply glue all over the back of the pipe-cleaner word and hold it in place on your card. Note, you will have to hold it for several seconds in order to make sure it is secure and the glue is dried. And there you have it – an effective and simple card that even the least crafty can get to grips with. And making a card always adds that special personal touch. 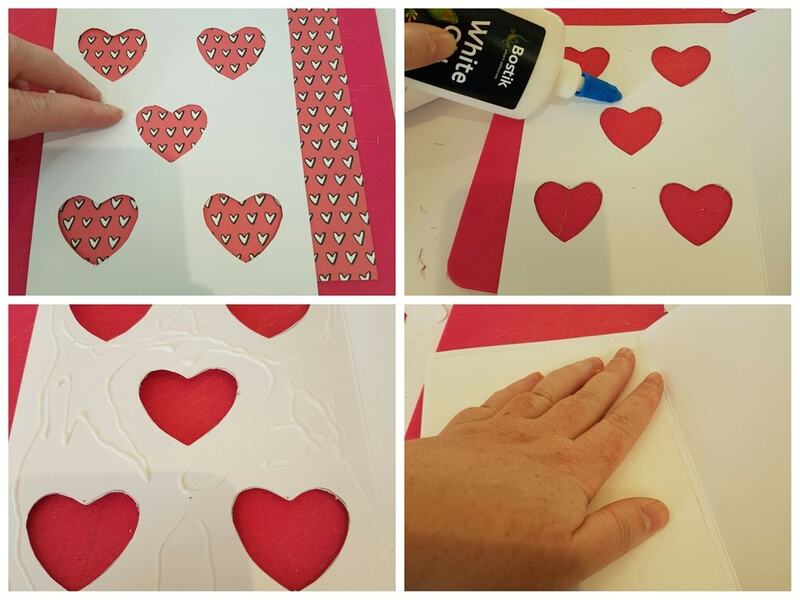 For more Valentine’s Crafts from #BostikBloggers why not check out Valentine’s Crafts for Toddlers from Hannah at Hi Baby.